in Avengers: Age of Ultron. After watching the Avengers: Age of Ultron trailer about 20 times each, Anthony and I break down what we like best about this amazing preview in the latest edition of Inside The Mouse Castle. It's going to be a dark time for Earth's Mightiest Heroes as they confront Ultron, a high-tech creation originally intended for peacekeeping, but instead hell-bent on destroying mankind. Ultron is voiced by James Spader and we can't think of anyone better to voice the maniacal robot. Okay, maybe Christopher Walken. Christopher Walken would be a cool crazed villain. In the trailer we can already see the groundwork being laid for the rumored "Civil War' story line set to begin in Captain America 3. 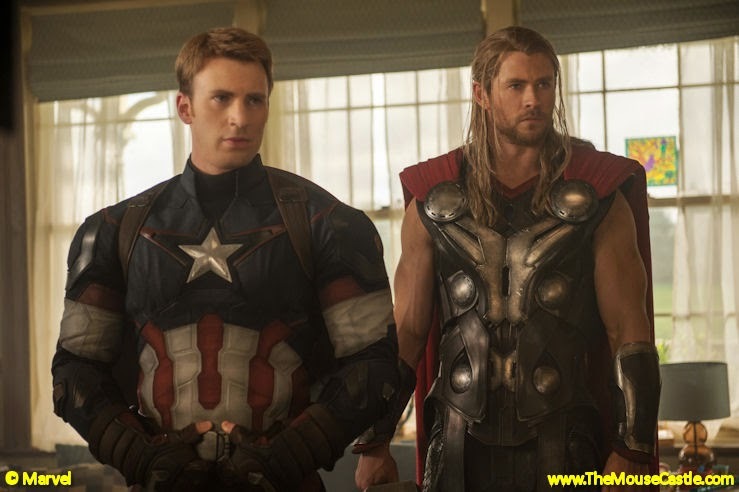 Even as the Avengers unite to battle a common enemy, you can see the conflict among them building. Thor fights Tony Stark and in the most epic confrontation of all, Stark dons the jaw-dropping Hulkbuster armor to take on Bruce Banner's green alter ego. If you couldn't get excited previously, now is the time to be absolutely giddy about this epic superhero film scheduled to open in the US on May 1, 2015. We really like Mark Ruffalo as the current version of Bruce Banner/Hulk, but his predecessor in the role, Edward Norton, has some interesting things to say about why he opted out of continuing the franchise. Marvel is developing a new comic book hero who is hearing impaired. We're impressed with Marvel's willingness to create such a character, but we think the results are kind of lame. and Walt Disney Studios general manager Andrew Millstein. Baymax (aka Big Hero 6) premiered Thursday at the Tokyo International Film Festival. Producer John Lasseter commented about his appreciation of Japan and the influence it had on the film. Meanwhile, Anthony and I speculate on what the best restaurant would be in the east-west mashup city of San Fransokyo. Progress continues on the restoration of Walt Disney's Laugh-O-Gram building in Kansas City. Thank You Walt Disney, Inc. has plans to convert the two-story office building where Walt started his animation career into a digital production studio and museum. Construction could begin as early as the end of 2015. 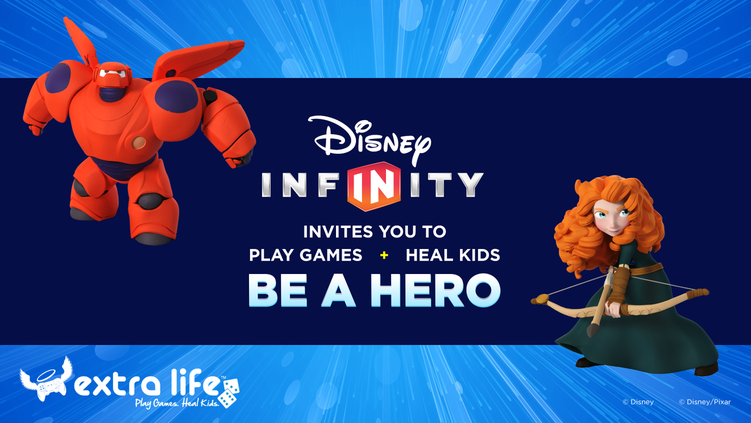 On Saturday, October 25, you can play Disney Infinity at Disney Interactive Studios in Glendale and at the same time support the Extra Life program to help sick kids at Children's Hospital Los Angeles. RSVPs are required. To find out more, visit https://infinity.disney.com/news/be-a-hero-this-2133. Let's get dangerous! Darkwing Duck is returning to comics (no TV show, dammit) in 2015. Elsa, making snow and offending Brits since 2013. 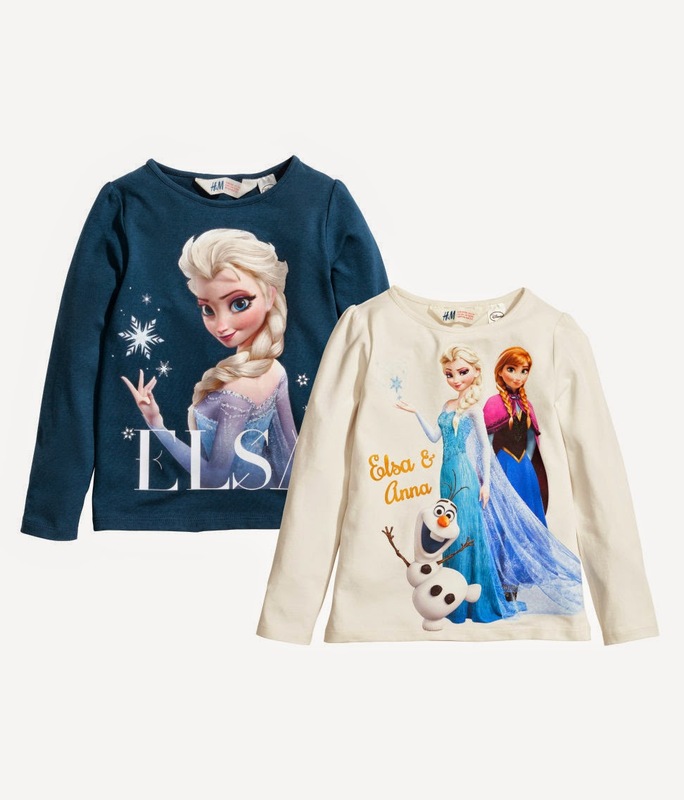 Some hyper-sensitive parents in England are complaining that a shirt sold at H&M featuring Elsa from Frozen is obscene and inappropriate for their kids because the ice queen is making a V-shaped gesture offensive to Brits. Funny, all we see is her making snow. Some people need to let it go already.